Outer Cover: Comprised of a luxurious Minky Outer Cover and lined with soft and natural Bamboo fabric. It is waterproof but still water vapor transmissible. High performance, durable, water-resistant, cut and tear resistant and soft. Inner Layer: 80% natural Bamboo fiber and 20% polyester proves outstanding with regards to moisture absorption and ventilation which makes your baby's bottom cooler. 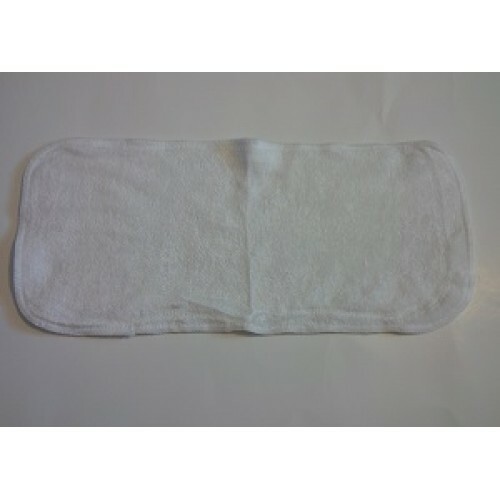 Inserts: Inserts/Liners or sometimes called Soaker Pads are made from 90% natural Bamboo fiber and 10% cotton which is outstanding in moisture absorption and ventilation making your baby's bottom cooler. 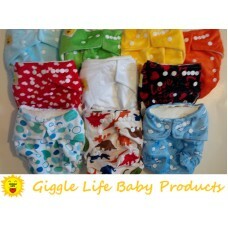 They are made of Grade A Bamboo fiber, which provide 30% more absorbency. 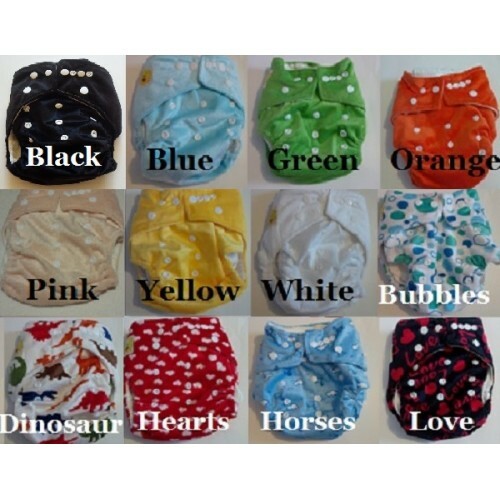 We include not one, BUT TWO Large Bamboo inserts in EACH DIAPER, one for normal daytime and two may be required for night time or for heavy wetters.